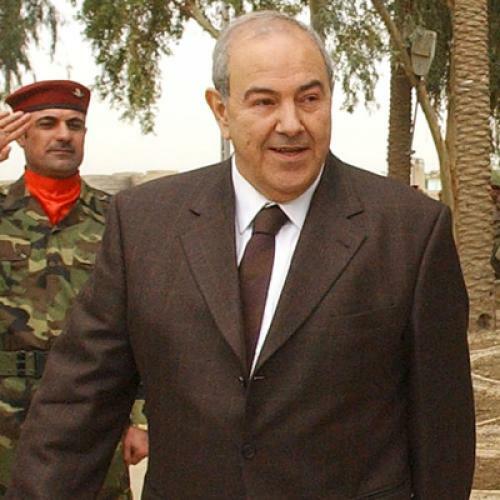 What does Allawi’s victory in Iraq mean? It’s too soon to know what the newly-released results of Iraq’s March 7 national election will mean for that country—or for America’s national security. At first blush, the outcome seems dramatic: the coalition of Prime Minister Nouri al-Maliki has won fewer seats than the coalition of his rival and former prime minister Iyad Allawi. But that’s a far cry from saying that Allawi will govern Iraq. Thanks in part to the narrow gap between the two front-runners (91 seats for Allawi, 89 for Maliki), what comes now is a mad scramble among Shiites, Sunnis and Kurds; among secularists and religious zealots; among people who like America and people who despise America; and among horse-traders swapping everything from prospective oil revenues to territorial claims. The process could drag on for weeks, or even stretch into the blistering Baghdad summer. The bad news is that the longer it takes Iraq to form a government, and the more rancorous that process becomes, the more likely some factions are to win political leverage through violence, which is what happened after the country’s 2006 national election, fueling Iraq’s horrific civil war. Though informed opinion is divided on whether this is a realistic scenario, it’s impossible to rule out the possibility of a return to bloody anarchy. But here lies still another uncertainty: If Iraq plunges back into chaos, how will Barack Obama react? Would he delay plans to withdraw all U.S. combat troops from Iraq by the end of August? (Unlike the formal U.S.-Iraqi agreement to have all American soldiers out of the country by the end of next year, this is a self-imposed timeline with no legal basis.) Senior U.S. military officials are loath to maintain an exit timetable at the potential cost of seeing the stability so many Americans fought and died for slip away in an emerging security vacuum. But it’s not clear whether an American force which already numbers less than 90,000 would be able to hold the country together anyway. It took nearly twice that number to stabilize Iraq at the peak of the surge, and that was at a moment when many insurgent groups were standing down. Less clear is what, exactly, is on Obama’s mind. His support for an escalation in Afghanistan may have surprised some people, but it was in keeping with his 2008 campaign rhetoric. Leaving Iraq, by contrast, was at the core of Obama’s candidacy. And yet Obama’s national security team has distinctly hawkish tendencies, and it’s easy to imagine advisors and generals arguing that the threat of Iranian influence and Iraq’s vast oil reserves will require a longer American military engagement to ensure stability and U.S. influence there. Those are questions Obama very much wants to avoid confronting. With luck, Iraq will peaceably form a government more or less friendly to the United States, and spare him the agony of a renewed debate over U.S withdrawal plans. But Iraq, unfortunately, is a very unlucky place.